UKU Club Nationals 2016 is coming up on 20/21 August, and Push Pass can reveal there are some very exciting coverage plans currently being made! The UKU are currently putting together a media team to cover the event, including bringing in the 24/7 trucks which were seen at WUGC 2016 in London! The WFDF are bringing together the best in Ultimate coverage – including staff from Push Pass Productions – to provide top quality live streaming at WUGC this summer. However, this will only happen if the fundraising goal is met, and there are only fifteen days remaining to meet that target (24th March). If the target is not met, there will probably be no live streaming of the event at all! 350 players are already supporting the campaign, probably 1,000 are needed – how much of a fan of watching Ultimate are you? 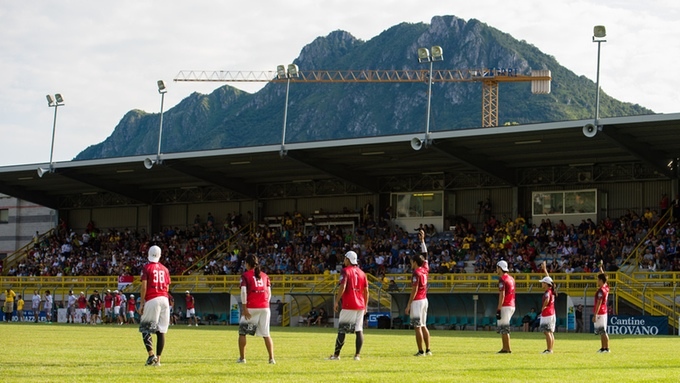 It’s been an amazing four years since the last WUGC, with characters like Brodie Smith and Beau Kittredge taking centre stage, leagues like the AUDL and MLU gathering momentum, and over in Europe we’ve seen Clapham winning at bigger and more competitive EUCF events, as the gap between Europe and America closes ever-faster. Japan have remained strong with their entertaining and hard to stop quick-movement style. All the products of these characters, leagues, competitions and powerhouses will meet in London for the first time in four years representing their countries, putting everything on the line at the most prestigious Ultimate competition in the world. Don’t view the live streaming as free – view it as pay-in-advance, with everyone trusting each other to contribute what they can afford. If you would pay £3.50 for the full streaming package, now is the time to pay – if you delay or expect others to cover it, there will likely be no streaming package at all, which would be a huge loss for the Ultimate community. Pay a little now, and decide later whether you want to contribute more. Visit the WFDF’s kickstarter page here. Update: The kickstarter got fully funded! http://www.pushpass.co.uk/wp-content/uploads/2016/04/pushpass-logo-fixed1-1030x485.png 0 0 felixshardlow http://www.pushpass.co.uk/wp-content/uploads/2016/04/pushpass-logo-fixed1-1030x485.png felixshardlow2016-03-09 10:50:022016-03-29 08:21:00WUGC 2016 - Streaming!